What's New For the 2019 Mercedes-Benz G-Class? 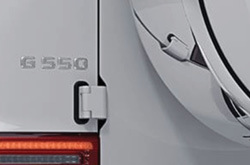 What are the Trims & Features of the Mercedes-Benz G-Class? When you shop for your G-Class SUV, you can choose between two trims - the G550 and the AMG G63. 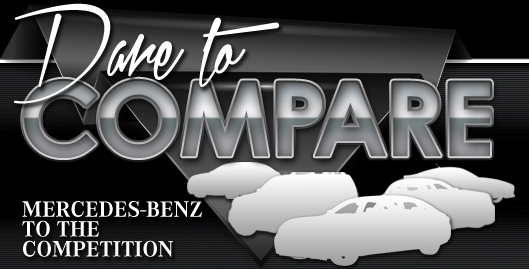 Both are nicely equipped with just about every upscale comfort you could want. These SUVs are also high-tech, keeping you connected as you cruise down the highway or through the wilderness. The G-Class wagon is both plush and stylish. Settle into the leather upholstery for some upscale comfort. The multicontour front seats offer massage functions, which is something you can't help but love when you're stuck in rush-hour traffic. Both G-Class trims feature tri-zone automatic climate control, creating three separate temperature zones for long-term comfort. The cabin's ambient interior lighting and Burmester premium audio system put the finishing touches on all-out luxury. This sporty, stylish wagon also offers a number of options to make your ride even better. The optional adjustable suspension creates a silky smooth ride in just about any setting, from around-town driving to highway cruising. Add the rear entertainment system to keep younger kids happily occupied for hours on end. The G-Class also offers a number of cabin material options, so you can tailor the upholstery and trim to suit your personal style. The two G-Class trim models are differentiated by their powertrain output. The G550 utilizes a 4.0-liter twin-turbocharged V8 engine that makes 416 horsepower and 450 pound-feet of torque. When you upgrade to the AMG G63 model, an upgraded version of this powertrain kicks out 577 horsepower and 627 pound-feet of torque. Frankly, this is the option that speed freaks will prefer. The G-Class AMG G63 goes from 0 to 60 mph in just 4.4 seconds - almost a full second quicker than the previous G63. What are the safety features of the Mercedes-Benz G-Class? This rugged-yet-luxurious wagon is home to a long list of safety features. 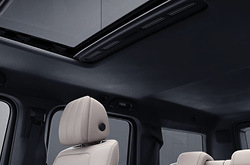 These include the Mercedes-Benz Pre-Safe system, which detects an oncoming crash and automatically secures the cabin, tightening seatbelts and rolling up windows accordingly. The G-Class also comes standard with forward collision warning and mitigation technology, which can automatically apply the brakes when it senses an impending collision. If you're driving down an unfamiliar street, the traffic sign reader will help you keep track of the local speed limit. The drowsy driver warning system is also standard. This technology monitors drivers for signs of sleepiness, issuing a warning when it's time to pull into a rest stop. Finally, lane keeping assist helps you keep the G-Class on the straight and narrow. Please call 844-865-5692 for further assistance. Purchase prices do not include tax, title and license. Prices include the $399.00 doc fee, listed rebates and incentives. Please verify all information. We are not responsible for typographical, technical, or misprint errors. Inventory is subject to prior sale. Contact us via phone or email for more details. *MPG Based on 2019 EPA mileage ratings. Use for comparison purposes only. Your mileage will vary depending on driving conditions, how you drive and maintain your vehicle, battery-pack age/condition, and other factors.